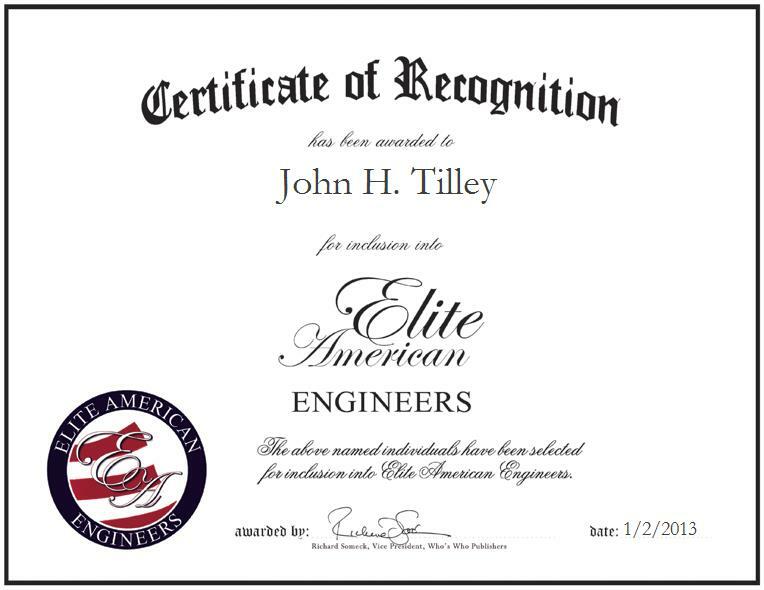 John H. Tilley is the former Assistant Vice President of Business Development for the Direct Satellite Division of Hughes Network Systems, a technology company specializing in satellite communication systems and equipment manufacturing. Prior to his retirement from his previous role, Mr. Tilley was in charge of managing high-technology engineering for equipment and total communication systems, designing and building total communication systems, and leading marketing activities. Mr. Tilley’s initial assignment in the industry was with Bell Labs in Murray Hill, New Jersey, where he designed the undersea amplifier repeaters that were to be placed about every 20 miles along the undersea cables connecting the United States and Europe. He also did a graduate thesis to mathematically analyze the cable system fault location system, and discovered a serious flaw that would have caused a great financial disaster if it had not been discovered until the system was placed across the bottom of the oceans. He then moved on to Dynamic Corporation of America in 1966, where he got them up to speed during his first three years in making magnetic devices for quartz crystals and mechanical filters used to support their radio business. In 1969, he moved to Dallas and managed a number of system engineering activities, including radio systems to allow the Coast Guard to communicate with all ships at sea. He returned to Maryland and worked for Hughes Network Systems from 1979 to 1994. He had various major assignments there, including setting up a test market to determine if satellite systems could be sold commercially from 1986 to 1991, the first project of its kind to test satellites for commercial use. Hughes Network Systems later became Direct Satellite Corporation. Mr. Tilley also orchestrated the sale of large systems to a major drugstore chain of 4,000 stores that enabled customers to refill their prescriptions at any location.